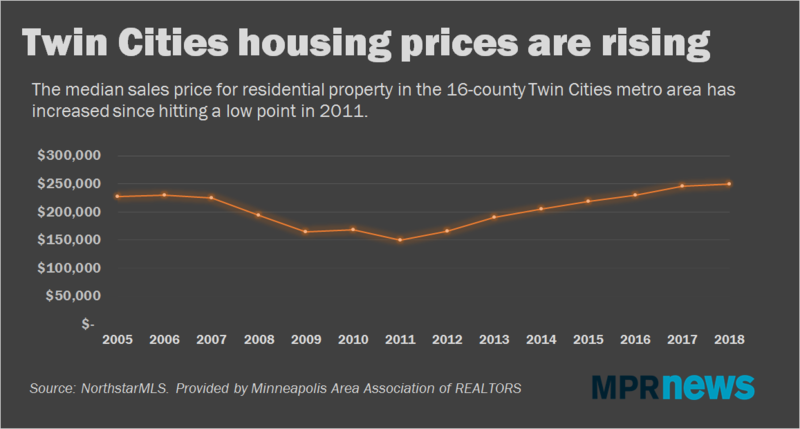 The Twin Cities housing market is booming this year. Real estate experts say they haven't seen properties sell this fast in the 16-county metro area since the 1990s. It's a great time to be a seller — median sale prices have never been higher. But for buyers, there's increasing pressure to ante up: Half of all properties are selling above asking price. What's making this market so hot? Low inventory. The number of homes on the market is hovering near historic lows, and construction isn't keeping pace with demand. That scarcity touches everyone who wants to buy, sell, build, renovate or rent a home. What it means for you depends on which group you fall into. It's a tough season to be a first-time home buyer. And you've got to be ready to pay more — or wait. Newlyweds Sammi Nachtigal and Keagan Ringling put in an offer on a different house every single week for a month. And even though their offers were often $15,000 above asking price with 30 percent down, they kept losing. They even wrote personalized letters to sellers about how much they loved each house and what great homeowners they would be. "Every time you kind of get your hopes up that this could be the one, and you keep looking at pictures and imagining what it'd be like to live there," Nachtigal said. "And then you find out on Sunday night that you didn't get it, and it's like, alright, gotta pick myself back up, look at houses all over again." Nachtigal is going into her last year of law school at the University of Minnesota. Ringling is working on a Ph.D. in plant genetics. They both grew up on farms in the same small town in South Dakota but know they want to stay in the Twin Cities. When Ringling asked Nachtigal to marry him last fall, both their parents offered them money for a wedding. But instead, they opted for a courthouse ceremony — and are planning to use the money on a down payment instead. 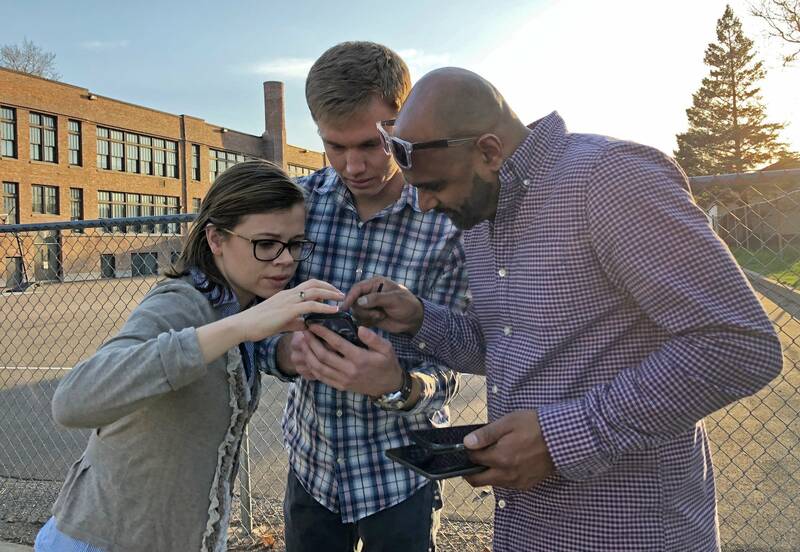 Nachtigal and Ringling were looking for a house around $250,000, which is within the Twin Cities' most competitive price range. Properties under $250,000 in the 16-county metro area are selling three weeks after going on the market on average, the fastest such houses have sold in 15 years. What Nachtigal and Ringling experienced was even more frenetic. 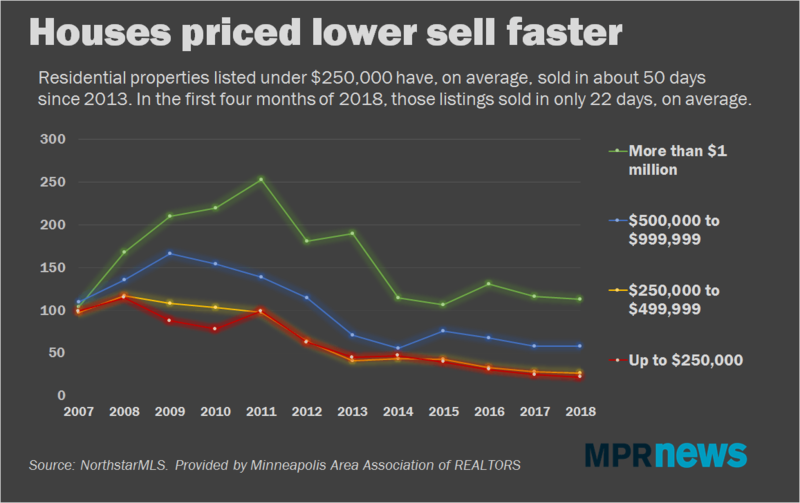 The houses they were shopping for in Minneapolis — near transit and restaurants, and with fenced-in backyards and finished basements — sell in hours, not weeks. They've become familiar with the phrase "highest and best," a command from sellers to all interested buyers to put in their very sweetest offers by a certain time. "We didn't know it'd be this hard," Nachtigal said. "It's not like we jumped in thinking it'd be easy but we didn't think that it'd be hard in the sense that we'd be competing with people." Realtors say they don't expect things to get any easier for buyers this year, as interest rates and inventory continue to stay low and demand remains high. But Nachtigal and Ringling's story has a happy ending. They finally put in an offer — their sixth — that was accepted. Now they're just trying to decide what kind of dachshund might enjoy their new, fenced-in backyard. 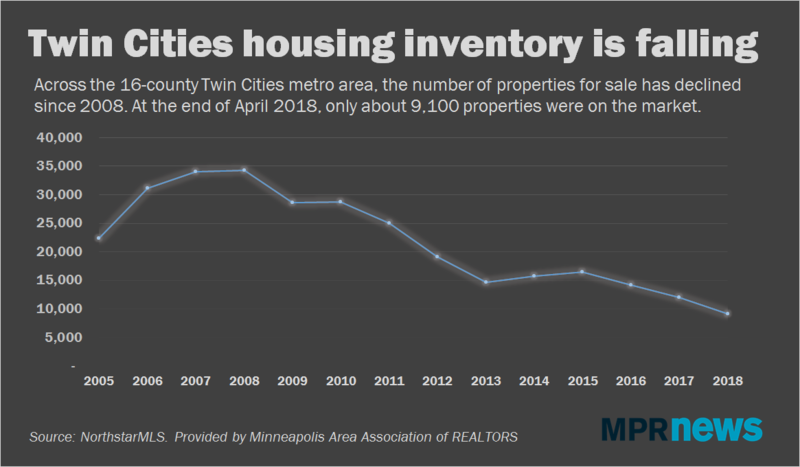 It's a great time to be selling your house in the Twin Cities metro — so long as you don't want to buy a new house in the Twin Cities metro. Valerie Green knows that her timing was nearly perfect — and very lucky. 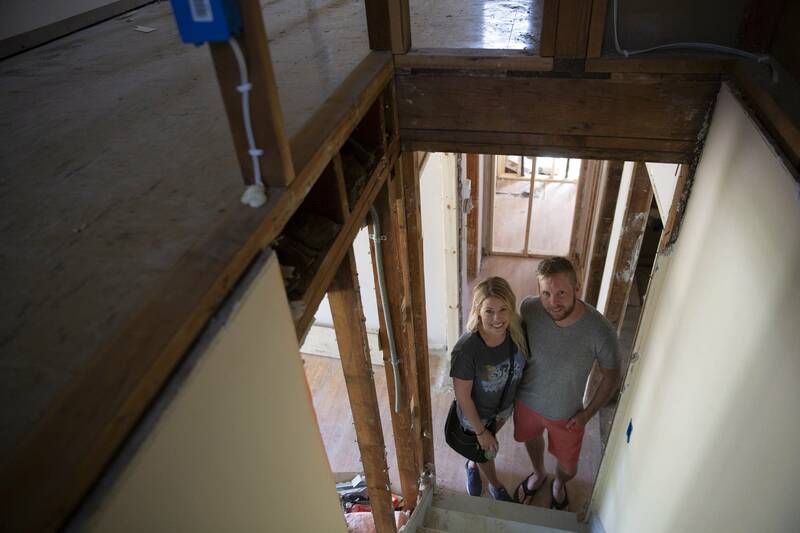 She paid $156,000 for her two-bedroom, one bathroom bungalow in south Minneapolis eight years ago, when prices were hovering near their lowest point since the Great Recession. She sold it this spring for $238,000, at a time when prices have never been higher. Her timing was off, though unintentionally, in just one way: Green listed her house on the market the day before the "Dayton's Monkey Blizzard" in April. She had to cancel dozens of showings. But she still ended up with a cash offer above her asking price. "Who knew this market would happen? I didn't think it'd be a bad market, but I never dreamed it'd be this market," she said. Green very well might be the envy of just about every homeowner who opened up their property assessment this year and saw exactly how much wealth they were sitting on. It's a great time to sell, as long as you're not looking to buy a new home in the metro area. 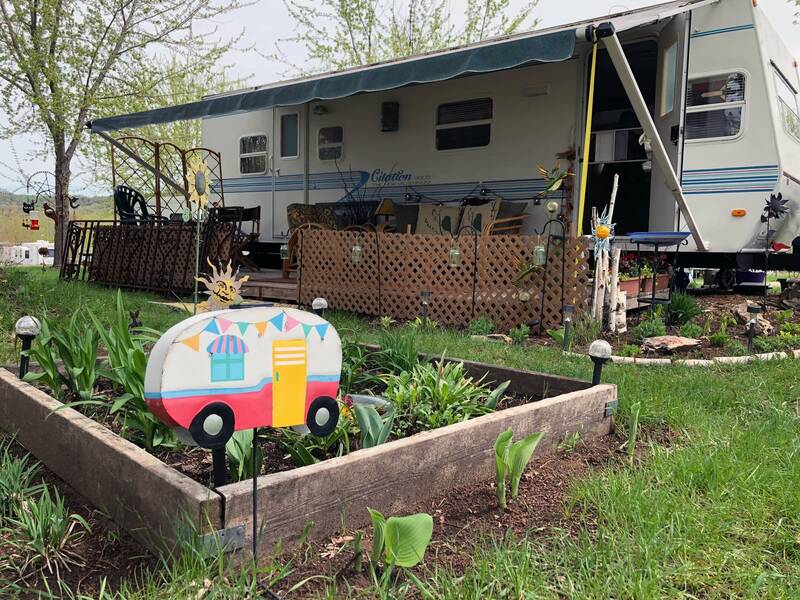 Green lucked out in that regard, too: She downsized to an RV in a campground near Lake Pepin. She's got a permanent campsite where she's built a deck and planted a vegetable garden. She plans to spend the winters in Florida. 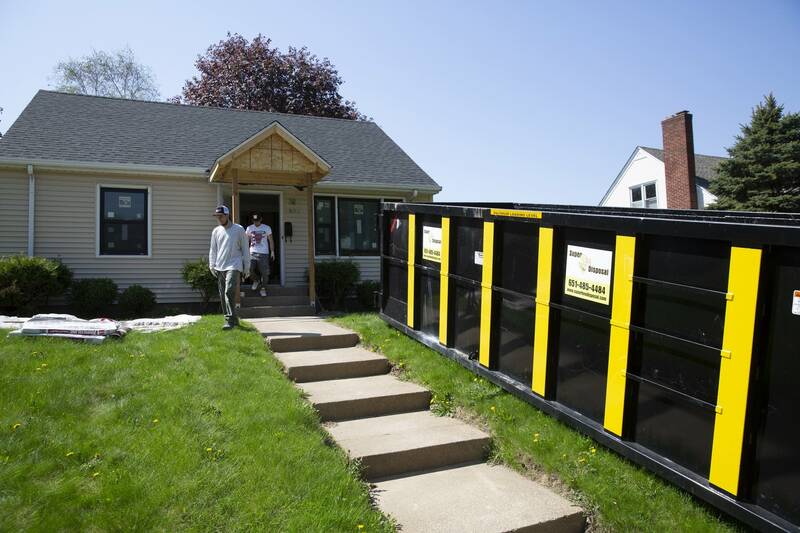 "It's a big adjustment going from a house to a camper," Green said. "But it's also a really liberating adjustment." Is it good or bad to be a house flipper in a market like this? Well ... both. Some seasoned flippers say they've gotten out of the game because there are so many new people entering it. Flipping team Liz Spillman and J. P. Strate are sticking with it. They've been buying, rehabbing and selling homes full time since 2014. They say finding homes to buy has become much more difficult in the past couple years. There just aren't that many available. And, unlike many flippers, they're not typically able to pay cash for the properties they buy. So they have to offer more money — or waive inspections — to make a deal. "In the flipping world, there's a saying that you make your money when you buy the house," Spillman said. "Because we're not buying homes for cash and are a smaller operation, we do have to pay more for the homes, which is not ideal." But in this market, Spillman and Strate are making money when they sell, too. Their houses gain value in the time they're working on them simply because home prices continue to tick up. One of the two houses they're working on right now is in St. Paul's Highland Park neighborhood. They bought the house for $218,000, and initially thought they could sell it for around $400,000. Now that the house is closer to going back on the market, they think they can sell it for more than $500,000. Spillman and Strate have already given tours of the gutted-out house — which is only wood framing, loose wires and miscellaneous tools right now — to a few prospective buyers. "You weren't really seeing that a few years ago when the supply was massive," Strate said. "But now that it's so limited, people are basically doing whatever they can to try to get into a house." Spillman and Strate could make more money if they were a bigger operation. But what they lack in scale, they make up for in social media prowess. They earn extra revenue from their YouTube channel — and often find vendors who will give them free materials if they promote it on Instagram. 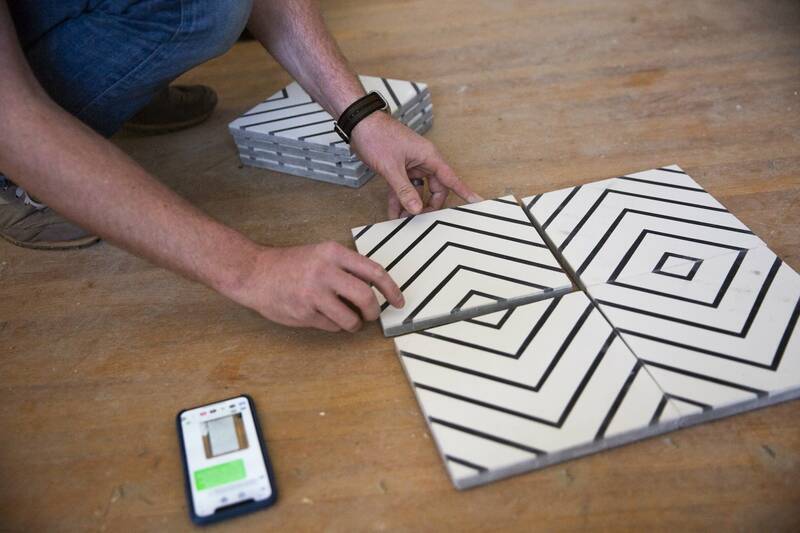 That's how they ended up with free tile for one of the bathrooms in the Highland Park house. Social media can be good for sales, too. They sold their last house to someone who saw their renovation pictures on Instagram. Spillman and Strate say all that work — renovating, designing, posting on social media — is well worth it when it comes time to sell. "It is really rewarding when you're sitting at the closing table with the new owners and they're really excited about a house," Strate said. "And we've had some people say, 'this is our forever home,' and that means a lot." Correction (May 23, 2018): Photo captions previously misidentified J.P. Strate and Day Construction.